The driving force behind the Las Vegas Sands Corporation is Sheldon Adelson. In 1989 Mr. Adleson purchased the Sands Hotel and Casino and then in 1999 he opened The Venetian Resort Hotel Casino which helped transform Las Vegas into an international business and leisure destination. 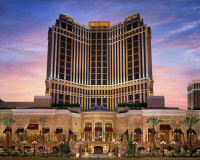 The Las Vegas Sands Corporation owns two of the largest casino resorts on the Las Vegas strip, The Venetian and the Palazzo; the Sands Bethlehem Resort in Pennsylvania; The Sands Macao and Venetian Macao in China and the Marina Bay Sands Resort in Singapore. The company is noted for creating Five-Diamond luxury resorts that cater to a blend of tourist, gaming and business travelers.